The route of City Sightseeing Rotterdam has been composed with utmost care allowing passengers to get the best of Rotterdam. 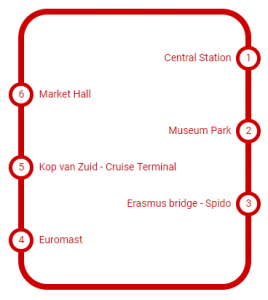 The tour starts daily from the Central Station and has a total of 6 stops (including the Central Station). We expect that every 30 minutes a bus will stop at one of the bus stops. 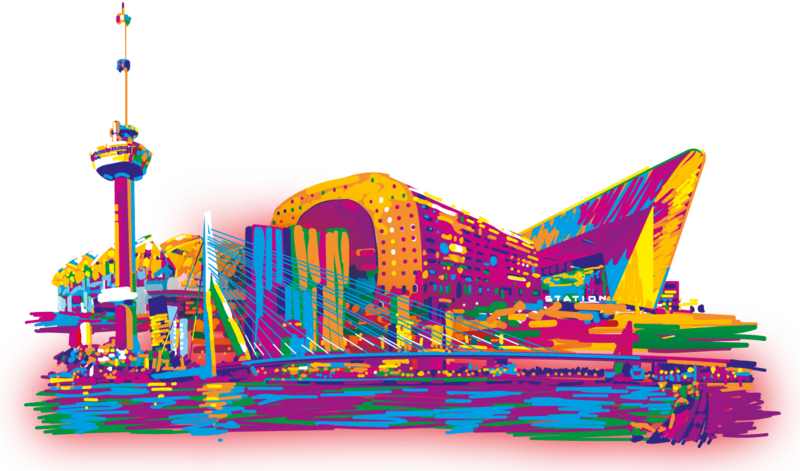 Rotterdam is a city with many festivals, events, construction work and other activities. For this reason the route has to be adjusted sometimes.